The nib Newcastle Knights have secured the services of State of Origin and Test front rower David Klemmer for the next five seasons. Klemmer joins the Club for the 2019 season on a deal which ties him to the red and blue until at least the end of 2023. He will join the Knights in December after featuring in the Kangaroos end of year Tests against New Zealand and Tonga. Knights CEO Philip Gardner said the signing is among the best in the Club's history and represents another key step towards a successful 2019. "David is one of the world's best front rowers and his signing is an enormous coup for us," Gardner said. "He's been very upfront about the fact he sees a lot of potential in the Knights. He wants to win a Premiership and he sees himself doing it here. That is a massive vote of confidence in the direction of our side and our club. "What's more, in signing David we welcome a quality individual, not just a quality player. "He is a family man and a good person. He and his wife Chloe and their three boys are coming not just for football but for the quality of life Newcastle offers." Klemmer averaged 181 metres a game and a massive 1,650 post-contact metres across 22 appearances for the Canterbury-Bankstown Bulldogs in 2018. "Klem has played 17 times for Australia and 12 times for NSW before his 25th birthday, which says a lot about him," Coach Nathan Brown said. "He's a big man who will help us over the advantage line and lead our pack. He's exactly what we need." Klemmer's signing is the latest in a list of high-profile signings for 2019 including Melbourne premiership winner and Queensland representative Tim Glasby, Samoa forward James Gavet, Sharks duo Jesse Ramien and Edrick Lee, Warriors and Samoa half Mason Lino, and former Rabbiohs back Hymel Hunt in blue and red. Follow @NRLKnights on Twitter. 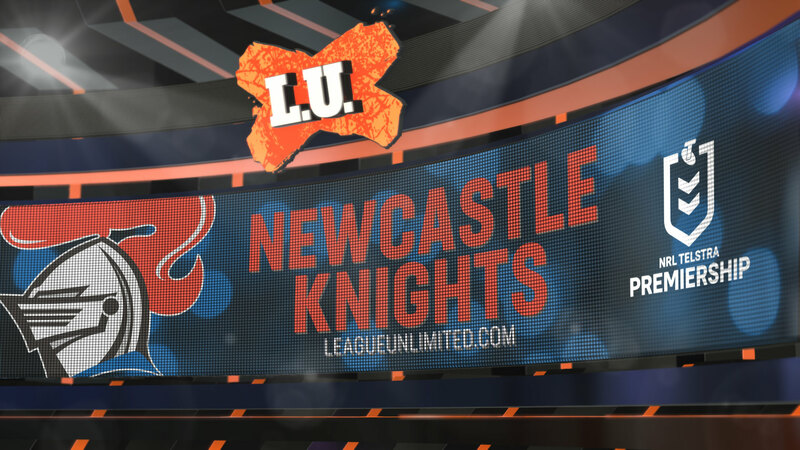 More articles from Newcastle Knights.